Gibson Farm Market's Farm Stand Fresno State Grown! Join us every Wednesday for Gibson Farm Market’s Farm Stand at Campus Pointe from 5-9PM! 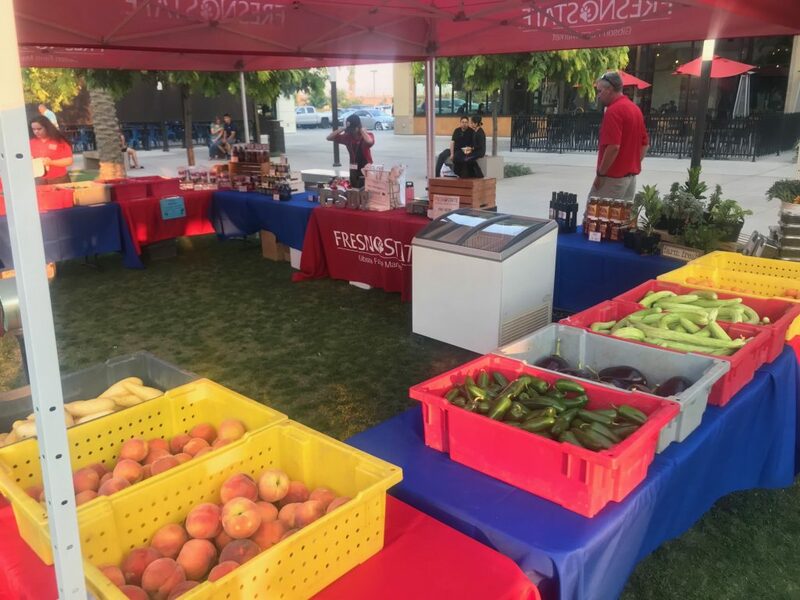 A wide variety of Fresno State campus farm products are available in the evenings at Campus Pointe. Featured products are items such as olive oil, sweet corn, fresh fruit and vegetables, and jarred salsas, sauces and jams. Campus farm market products are also available daily at the Gibson Farm Market store (5368 N. Chestnut Ave.). Summer hours are 8 a.m. to 7 p.m. Monday through Friday, 9 a.m. to 6 p.m. Saturday and 10 a.m. to 4p.m. Sunday.